Body movement shows an external display of Yoga, yet Yoga is not limited to this external movement. Asana practice strengthens bones and muscles, internal organs, and affects the mind and temperament. Coordination, cooperation and collaboration are needed with every flow of hand, eye, body, foot and senses. Discover how to work with your internal organs, and moving from them to circulate the flow of inner movement that generates external strength. Every time we move or breathe, or stretch, we create an effect on our energy. When you place your attention somewhere in your body, you can feel that it’s not just perception focused there. Something else is happening. Energy is displaced to that area. In Chinese Medicine, energy is defined as Life Force – Chi, and it is circling within and around us. The Chinese say that “Chi follows Yi,” where “Yi” is the mind or intention/attention. 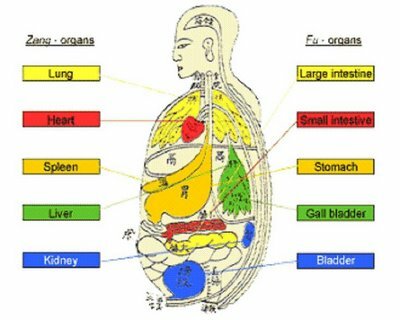 Based on knowledge of energy, the Chinese developed Qigong and acupuncture to enhance understanding of energy. Based on that understanding, martial arts and Tai Chi developed. In India, Chakras were discovered, and the intricate energy system supporting and interconnecting them. Techniques developed to use this knowledge in yoga, japa and mudras. Although Energy seems ethereal, it may be practical to look at a functional relationship: a mudra is gestured, an acupuncture point pressed, a sound made, and you feel different. Sometimes it increases energy or energy becomes unblocked. You may not undestand the mechanics of it all, but you can feel a shift or difference in energy by feeling it. Chi moves through our bodies in pathways called Meridians, energy rivers that course through every part of the body. A river needs both movement and boundaries to be able to be a river that flows evenly and effortlessly. Much as Patanjali describes Asana as a steady and easeful pose, our Chi also needs to be steady and stable, moving in and out of the source of everflowing essence. The meridians, flowing through the body’s soft tissues, integrate body and consciousness the same way that physical anatomy integrates the body’s fluid and solid natures. The word for meridian in Chinese is ‘Jingluo’ which translates roughly as ‘threads that connect, like a net’. The meridian network has four functions: communicative, defensive, nutritive, integrative. They facilitate communication between the inner and outer realms of the body, circulate food essences bringing nourishment, and they weave the body-mind together into one integrated unit. Meridians are named after Organs but do not exclusively belong to that Organ. The meridian of the Spleen, for example, may be stimulated to affect the actions of the Spleen but its pathway also branches into the Stomach and Heart. Organ dysfunction will show at the surface as disturbance to the meridian pathway. Conversely obstruction of or injury to the meridian may eventually lead to some Organ dysfunction.